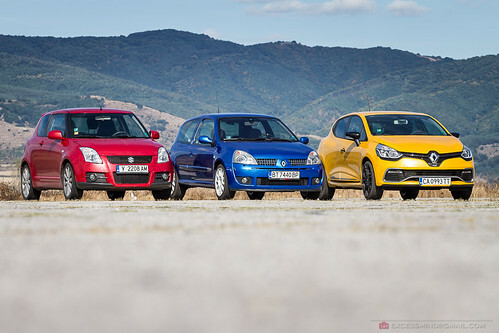 Three hot hatches, originally uploaded by excessmind. 21 ян. This entry was written by excessmind, posted on 21 януари 2014 at 22:32, filed under автомобили and tagged Renault Clio RS, Suzuki Swift Sport. Bookmark the permalink. Follow any comments here with the RSS feed for this post. Trackbacks are closed, but you can post a comment.